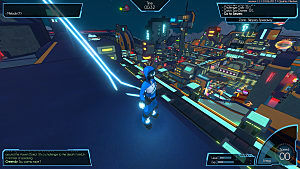 Originally beginning as a Kickstarter campaign by Midgar Studios in 2014, Hover: Revolt of Gamers had its initial goal and stretch goals fully funded in about a month. Three years later -- after some additional help from French indie developer Fusty Games -- the final version of the game is now available on PC, Mac, and Linux via Steam. 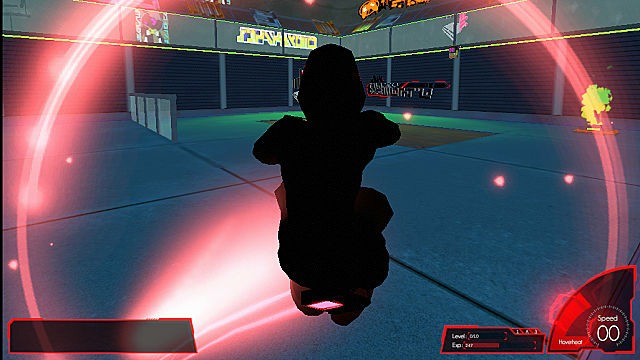 When looking at Hover: Revolt of Gamers, a keen and avid gamer may notice that it's been developed in a vein similar to SEGA's Jet Set Radio series. And they'd be right. Hover: Revolt of Gamers is indeed a spiritual successor to the rollerblading action series, but with a few key differences and improvements. On top of that, there's a little Mirror's Edge and other futuristic science fiction elements thrown in. 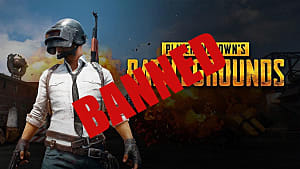 The new Great Administrator of Hover City has reformed laws to make most forms of entertainment illegal and will arrest anyone who breaks them. 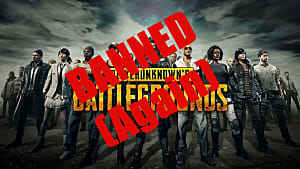 These laws have caused a secret resistance to form, which hopes to end this unpleasant dictatorship. The player's job is to join this resistance group -- known as "Gamers" -- and help them prevail. 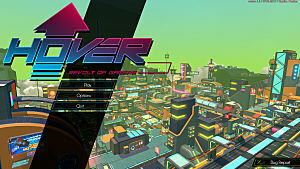 The game takes place in Hover City, a large and vibrant futuristic city -- separated into several different areas -- which players can adventure through and explore. Rather than moving around on roller blades -- as players would in Jet Set Radio -- the player character free-runs, performing parkour tricks. Players can also choose whether they want to participate in race, stealth, or sports missions. 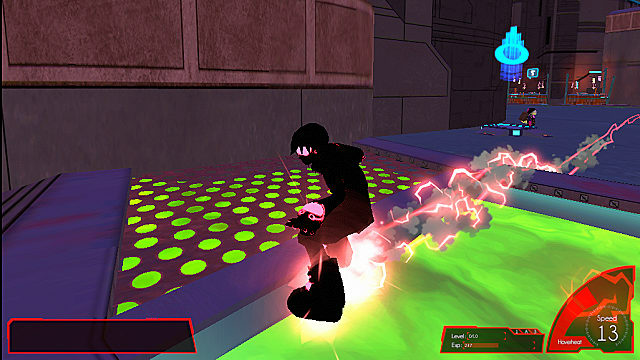 Graffiti spraying -- or in this game, holo-grafitti spraying -- is only mandatory in certain missions but can be done on just about any wall throughout the world. When starting the game, the player creates a name for their new team -- starting at Rank 0 -- and creates their first character -- starting at level zero. 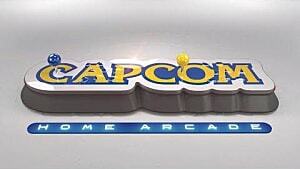 Only two characters. who are pretty much the same, are unlocked at the start, but eight more characters can be unlocked by progressing through the game. Character colors are also fully customizable -- for two specific characters at least -- and can be changed at any time, which is a nice minor feature. The only flaw with the characters is that there are two pairs of characters that are just alternate skins, which seems rather pointless due to the color customization option. Characters have different traits -- such as Basic -- which affect their beginning stats in some way. Basic seems to just be the minimum setting with no particular stats standing out. Strength -- bump force, resistance, heavy lifting, and throwing force. Jump -- Bounce power and how high a character can jump. Grind -- How effectively the character can grind on rails and slide on other surfaces. Speed -- Maximum speed and boost power. Hack -- The ability to hack electronic systems, detection avoidance, rewind reactivity, and graffiti efficiency. Energy -- Production speed and storage. As one can see, each stat improves a different type of movement or ability, and all are useful for a handful of different situations. 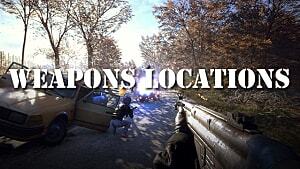 Players can utilize either a third-person camera view, a first-person camera view, or an auto camera view, which switches between first-person and third-person and provides players with a unique experience. There are a few minor flaws though, at least with third person view. At first, when using a DualShock 4 controller -- which is arguably better than a mouse and keyboard for character movement -- sometimes the character would randomly jump while the camera is being manually adjusted. At first, when using a DualShock 4 controller -- which is arguably better than a mouse and keyboard for character movement -- sometimes the character randomly jumps while the camera is being manually adjusted. There's also an auto adjust, but it tends to be a bit slow. 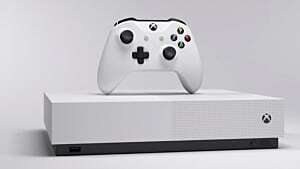 Players who prefer to use a controller should not be distraught after facing these or similar minor problems, and simply have to either reconfigure their settings or reconnect their controller. Movement uses up energy and the faster players move and the more tricks they perform, the more their energy decreases and their hoverheat suit gets closer to overheating. Once a character's energy stat has been increased, it's much easier for the player to move more efficiently and perform more tricks, but energy use isn't too much of a problem at earlier levels, especially if the player is paying attention to their gauges. 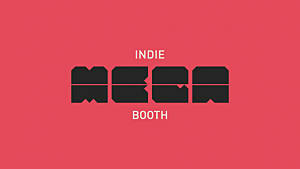 The more tricks the player executes successfully, the more points they earn, which also helps them gain experience. Completing different missions throughout the game also gives experience for players to level up, and it also provides a bit more than just running around the futuristic city doing tricks does. A useful rewind function is also available for players who wish to re-do certain obstacles or master a specific trick. This may be one of the best features of the game, as it allows players to stock up on points and get more experience to become more accustomed to the controls. Certain items players automatically pick up can help them solve puzzles in certain missions while scanning items known as Augment Chips can upgrade their skills when added to their skill grid. Augment chips and contain skills which provide certain stat boosts and can either be found by exploring the world or earned through completing missions. One may think equipping multiple chips with the same skill would stack and improve performance, but using more of the same type of augment chip is actually less efficient, causing players to think a little more about which skills they want to equip as they gain points and level up. 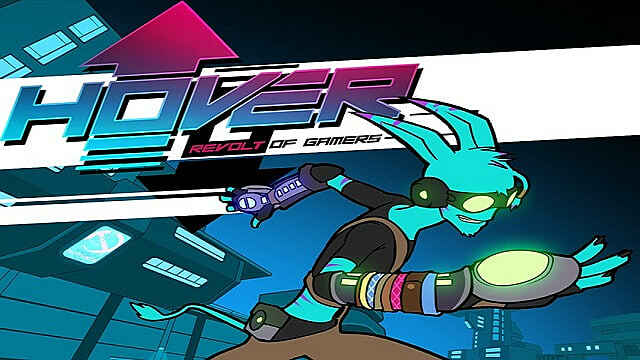 Hover: Revolt of Gamers also features an online multiplayer mode where players can interact with each other -- as strangers or in a friends only mode -- in the open world and play various types of missions together. 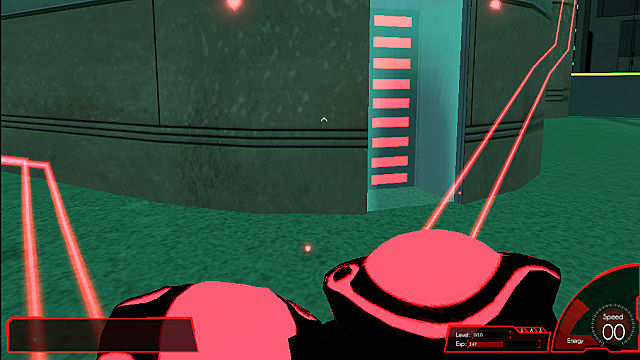 Players can also create their own challenges for each other via use of an easily accessible mission editor menu, which provides a whole new level of challenge for players in case they have become bored of the game's other missions. Just like the games it's based on, Hover: Revolt of Gamers has an excellent soundtrack by Hideki Naganuma -- the original composer for the Jet Set Radio games -- which will change depending on what type of mission is being played or will just cycle through a few tracks when running around the open world. Players may find themselves really enjoying the music as they jump off the walls of Hover City. 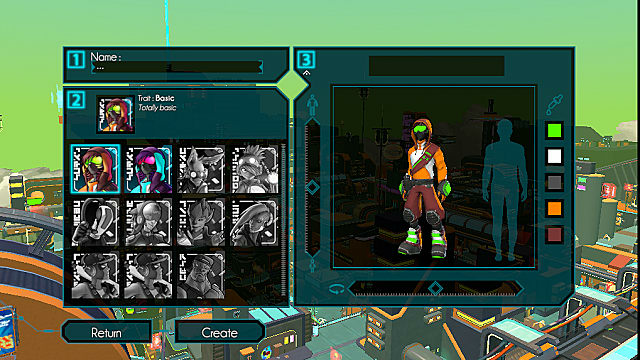 The art and graphical style of Hover: Revolt of Gamers is a little generic when compared to other games with similar art and doesn't look like anything new, but the bright colors seen throughout the game help it stand out a lot more. 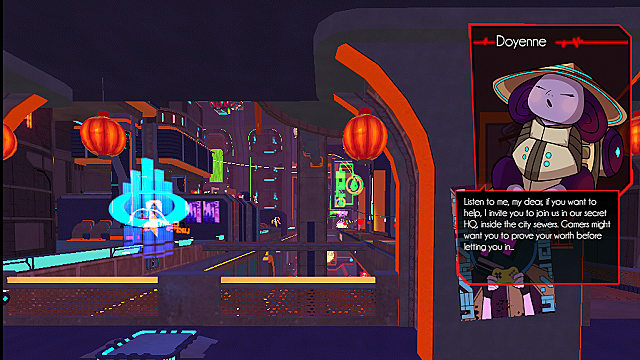 According to the developers, the art direction is based on a colorful and "cartoon" atmosphere, which this art style conveys well. Despite a few minor controller problems and some character selection flaws, Hover: Revolt of Gamers is an enjoyable experience. While it doesn't necessarily redefine its genre, it makes some welcome additions and improvements to the framework that Jet Set Radio laid out for it. Fans of the series will see this as a worthy successor, and those who have never played any games in the series may enjoy giving this game a try. 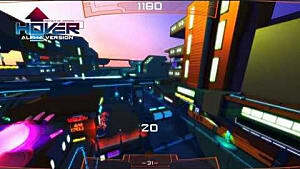 Hover: Revolt of Gamers is now available on Steam for 19.99 and has Oculus Rift compatibility. The game is also planned to be released on PlayStation 4 and Xbox One sometime in the fourth quarter of 2017. Jet Set Radio's spiritual successor improves upon its source material with a vast open world and entertaining multiplayer features.